The Austin Fire Department (AFD) is pleased to announced that Fire Chief Rhoda Mae Kerr successfully achieved the professional designation of “Chief Fire Officer” (CFO) from the Center for Public Safety Excellence making her one of only 1,080 CFOs world-wide. The Chief Fire Officer (CFO) Designation Program was created to recognize fire officers who have demonstrated excellence and outstanding achievement throughout their career. The designation demonstrates that individuals have developed a strategy for continued career improvement and development. 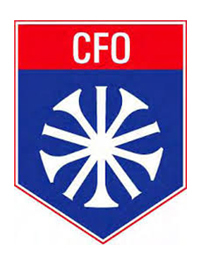 The highly competitive CFO designation assures departments that their leaders have the educational and technical competencies necessary to meet the demands of today’s society. The National Professional Development Model, supported by the Fire and Emergency Services Higher Education (FESHE) Program, maps an efficient path for fire service professional development. It is supported by collaboration among fire-related training, higher education, and credentialing. The model shows CFO designation as a credential to consider in the career progression to fire service executive. The Commission on Professional Credentialing (CPC) awards the designation after an assessment of the applicant’s education, experience, professional development, technical competencies, contributions to the profession, and community involvement. To learn more about CPC, visit www.publicsafetyexcellence.org. The Austin Fire Department was founded on September 25, 1857 and is now one of the 20 largest departments in the country, with 45 fire stations located throughout the city and more than 1,100 employees. It also employs twice the national average in women firefighters.